We are one of those 'bad parents' who are taking our children out of school at the end of June to enjoy a family holiday in Spain for a week. We haven't been abroad in the summer together for 5 years and we simply don't have the funds to pay the prices that are charged during school holidays. I have weighed up the pros and cons and do think this is the right decision for us. We are travelling after Heidi's year 2 SAT exams but that doesn't stop me from feeling guilty about the school they are missing. 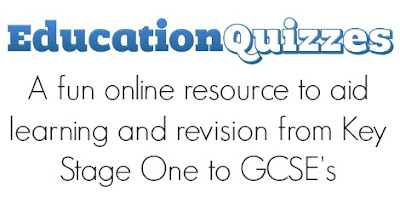 I have been looking at ways to keep them entertained during our 36 hour coach journey and have found some online education quizzes (our coach will have free wifi) for them to try. These quizzes have been written by teachers and are available for children aged 5 - 17 years old. We have tried a few of these quizzes out at home already (in preparation for those dreaded SATs) and all three children have enjoyed them. They especially loved the novelty of being allowed on mammy's laptop! The Key Stage 1 Education Quizzes are designed for children aged 5-7 years and are perfect for Heidi (year 2). Jack is in reception so still in Early Years but he managed some of the quizzes too. It is recommended that children at this age spend 10-30 minutes per night working through some of the activities with a grown up. There are 12 subjects to choose from including Maths, Science, Spelling, & Multiplication to History and Geography. I particularly like that there is a 'computing' section (you're never too young to learn!) where children can learn how to make an Algorithm, learn about how to stay safe on a computer and how to 'de-bug'. I think this is a fantastic way to compliment the school curriculum and to keep your child's brain thinking rather than mindlessly watching youtube videos which seems to be happening a bit too often for my liking. There are 50+ spelling quizzes alone and each one is fun with bright and cheery graphics. They are broken up into key phonic sounds and your previous scores are recorded so they are very easy to dip in and out of. Spelling doesn't come naturally to Heidi but she did enjoy taking these quizzes and we could see an improvement in her scores after just 10 minutes. Key Stage 2 Education Quizzes are designed for children in primary school years 3, 4, 5 and 6. Harry is in year 4 and really isn't keen on traditional homework. He does however love getting stuck into a project or learning something new. There are over 400 quizzes in this section across 12 key subjects. Harry isn't keen on practising his multiplication tables but he does understand that he needs to do this. The multiplication quizzes were simple and easy for him to click through and he could complete some of the easier ones in a few minutes. We set him a challenge and if he managed to complete 3 multiplication quizzes without making any errors he could move onto a topic (Science or Computing) that he found more enjoyable. This tactic seemed to work and before we knew it Harry was delving into Thermal Insulators, The Human Body and Life Cycles. In my opinion, you are never too young to get into good habits and I think if I start a little revision using these quizzes now, it will just become second nature to my children when the time comes for them to really knuckle down. 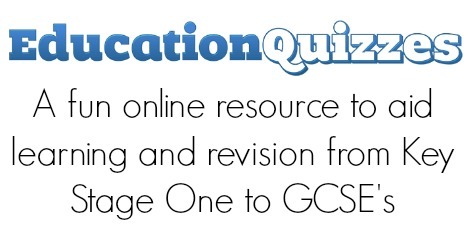 Signing up to the Education Quizzes website is quick and easy. Subscription costs just £7.50 per month which gives you full access to all of the quizzes across all curriculums. This is very good value for parents of multiple children and for us it works out at just £2.50 per child per month which is a bargain. I also like how you are FREE TO CANCEL at any time and are not tied into any sort of contract - you can even cancel after just one month. I have signed up this month primarily for Heidi and her SAT revision but will continue our membership so we can benefit during our trip in June too. I like that it's simple to cancel over the school holidays and then restart when term resumes in September. Schools can also sign up to Education Quizzes and have shared access to over 2500 education quizzes. Schools can sign up to the programme for less than £2 per child per year and create logins for every child at school for them to use during school hours and at home (self marking homework anyone!) I think this is a fab idea and a resource I'll definitely be bringing up at our next Governor's meeting. Let me know if you know of any other educational resources that will help with SAT revision or that I can take on holiday with us. They sound perfect for children of all ages and will really help parents help their children to be success learners.